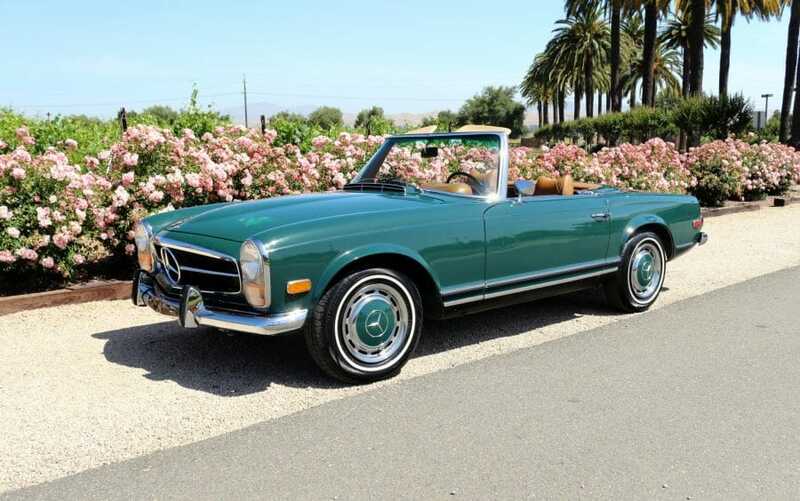 1969 Mercedes 280SL Pagoda, garaged California car, one owner since new. Original fenders, original floors, excellent factory body gaps all around. Rare and desirable factory color combination. Never restored, low original miles. Owned by a Walnut Creek doctor since he bought it brand new. Runs and drives superb. Paint is partly original and shows patina. Door jams are all original paint. We go to extents to document our cars in pictures and provide the most transparent listings on Ebay. Please study the pictures carefully rather than requesting descriptions. Please complete any inspections or ask any questions prior to bidding or committing to buy the car. Thanks for the interest!